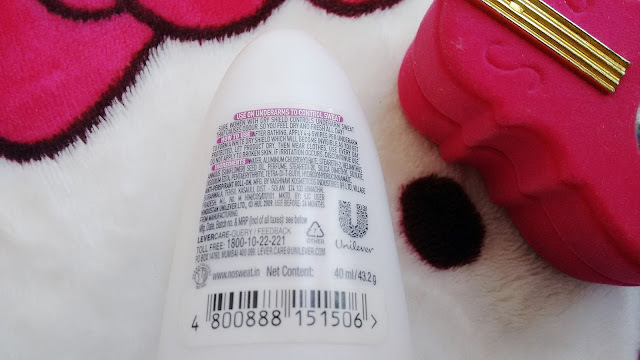 How to use : (copied from product) After bath apply 4-6 swipes per underarm, to form a white dry shield which will become invisible as you get protected. Let it dry for a while after application and then wear your clothes. Use every day. Do not apply to broken skin,. If irritation occurs, discontinue use. Packaging: Packaged in a conical white and purple body, the Sure Women Dry Shield Anti Perspirant Roll on has a rolling ball to dispense product directly under your arms . The screw cap shuts nicely and since this is made of plastic it is very travel friendly . Fragrance: A very fresh musky fragrance which is very mild and lingers on for about 3 hours. Sensitive noses can try this without worry as the fragrance is barely there kind. Staying Power: I apply this everyday after bath and the effect is there for 6-7 hours . i have never reapplied this, it is always my morning routine of sorts. My experience: I am not a perfume person and this Anti Perspirant Roll on works well for me. It gives me light fresh fragrance in addition to preventing sweating. I apply this in the morning after shower and wait for about 30 seconds for it to dry up and bas done, I am ready for sweat free day. When i saw the ad where Asin tests this Sure roll on, i was like is it even possible? But yes, this does what it claims and works like a charm keeping sweat at bay. 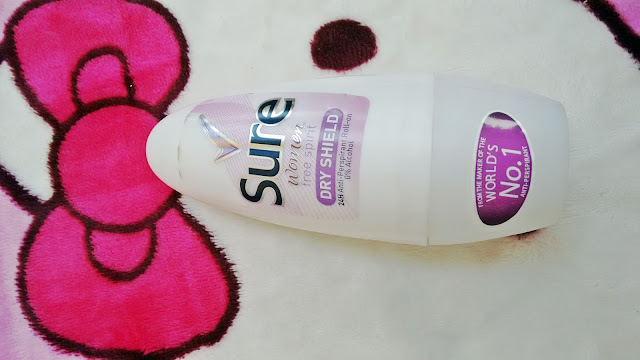 Sure Women Dry Shield Anti Perspirant Roll on does not have alcohol in it so it takes a little time to dry but when Iam in a hurry i skip the waiting part and still this thing works for me. No alcohol also means no dark under arms, another win. If Body odour and over sweating is your problem then you should definitely get this like NOW. Opaque packaging , cant figure out when it is going to be finished. Takes 30 seconds to dry. Repurchase? 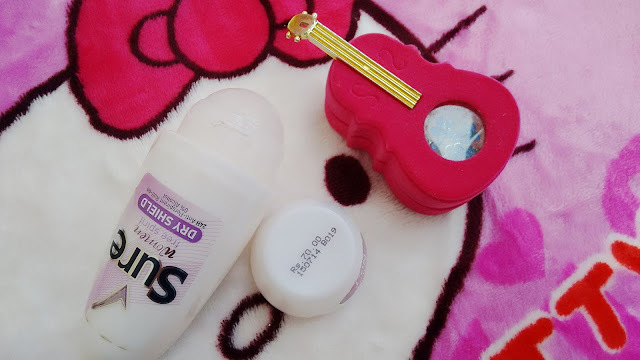 : Already repurchased this and will try passion soon. Final Verdict: It is summer and if you havent tried this yet (why have you not?) go get this and beat the sweat the affordable and fresh way!